Hi Lovers, One of the easiest ways to make a statement about who you are, express what you feel inside, bring color to your outfit, and show off your pout, is statement lips. The fact that statement lips go well with a neutral face or little to no makeup is what makes them a UH! FAVORITE must have. Armed with statement lipstick you've got the next best thing to lip gloss but with the impact that paint has to a mural. HELLO! It's so fresh, flirty, fun, easy, and expressive! It allows you to add a pop of color to your look without having to do much else! So if the color that gets you really pumped is red, yellow or blue and you really want to wear it, you aren't limited to a piece of clothing. You can just wear the color on your lips, and because of its pigmentation and vibrancy it makes the same statement a shirt would have but with personality! Take the ladies for instance Nikki Minaj, Gwen Stefani , Zooey Deschanel, and Rhianna!, for example; they rock the statement lip with ease and we love it! It's such a "tell" of the personality that's behind the pout. Each one exuding confidence and their own emotive through the pout and it looks great! 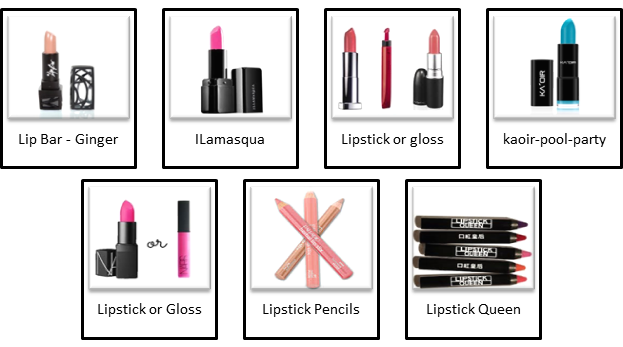 If you're not sure about the lipsticks try glosses that have just as much pop as statement lipsticks but are transparent enough not to feel over whelming! I mention this because you should never miss an opportunity to express how you feeland who you are! So don't be intimidated by the looks of the lipsticks above. Instead pick the one that resonates with your emotions and rock it! Just know that if you have thin lips, dark colors age you dramatically! But if you're trying to look older because you feel mature inside go for it! But if you feel daring and fun go for Pool blue! Unbelievably Human is about sharing our stories of where little inspirations like this post, helped one of our Lovers, express in a real way! At times a more conservative and literal soul; this UH Lover, stepped out into the world wearing statement lip gloss (really pigmented gloss but translucent), from Sephora, which can be seen above, in classic red! What she enjoyed most about rocking this red was that it was in lieu of a red shirt she planned to wear. It completely changed her look and every time she talked, a midst the navy corporate suit was the expression of power and confidence all from red statement lips! Needless to say she never leaves home without! Share this post and talk with us in the comments! We'll be featuring more cool stories about people finding ways to express who they are! You are Unbelievably Human so be unbelievably you! What statements are your lips making? What are your favorite brands? 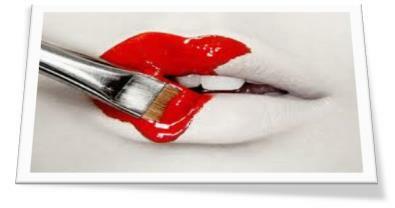 Want to share your pic of statement lips and be featured in the Style gallery? 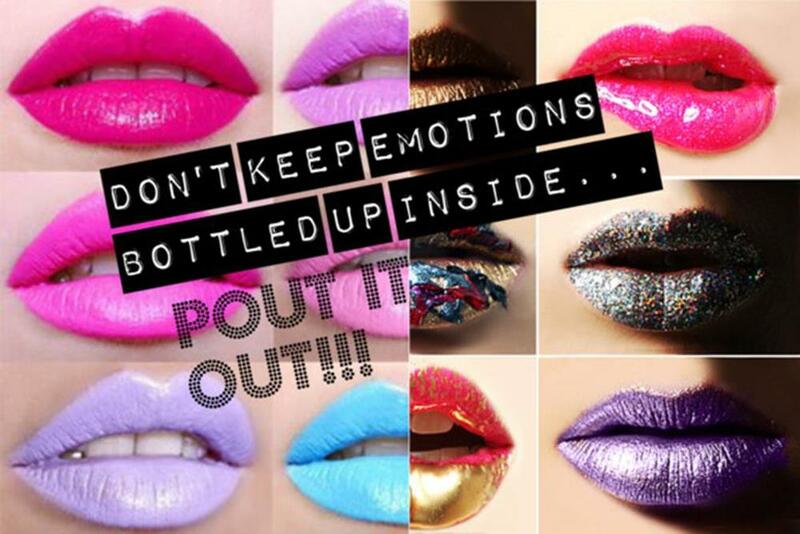 Let us know in the comments below and Send in those pouts!